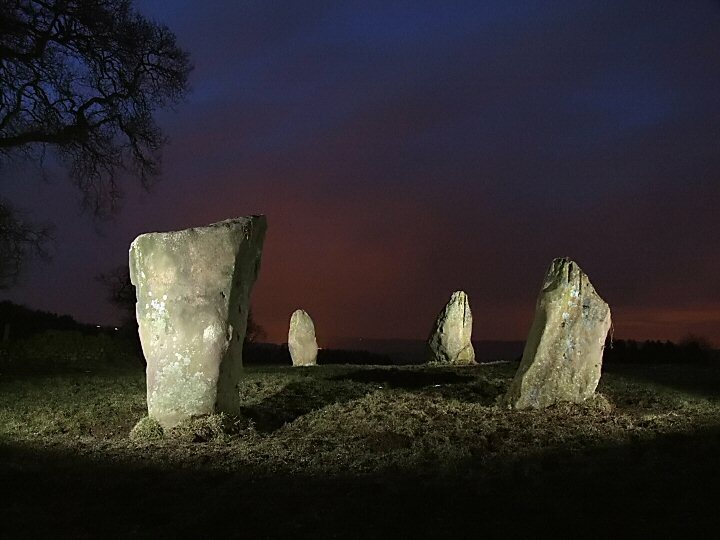 No longer nine stones, but four stones remain of this stone circle that was once know as 'the grey ladies'. 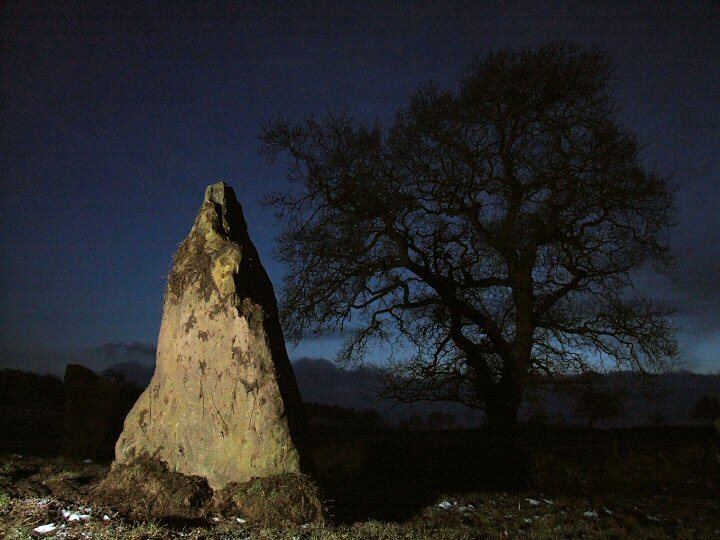 The largest stones in Derbyshire, they stand isolated in a farmers field on Harthill Moor, almost due west of Doll Tor and the ritual complex of Stanton Moor that lies a short distance beyond. In the middle of the 19th century, the antiquarian Thomas Bateman recorded seven upright stones at the site as well as finds of pottery sherds and flints. 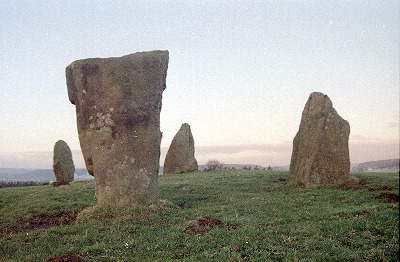 There were further excavations in 1877 which may have disturbed the stones, and what remains today is a rectangular setting of four stones - the tallest around 2 metres high - that would form a circle of a about 13 metres diameter if there were indeed originally nine stones, ('nine' could be a corruption of 'noon'). It seems that at least one more of the stones has survived, and now stands as part of a drystone wall to the south of the circle. 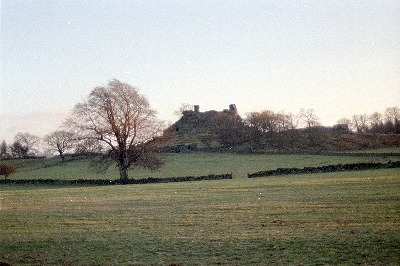 A little further south is the rock outcrop of Robin Hood's Stride which may have served as a sacred hill alter, as from the centre of the circle the major southern moon is seen to set between the two stone pillars on top of the hill. There are several legends and myths attached to this circle, one claims that the stones dance at midday, another says they dance at midnight. A story recorded in the 19th century tells of a farm labourer who found a clay pipe at the stones, and when he smoked it, was able to see through the surface of the earth near one of the stones to a land inhabited by fairy folk.